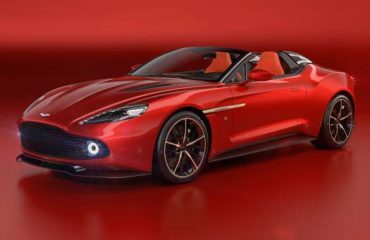 The new Aston will be released sometime in the beginning of this year. 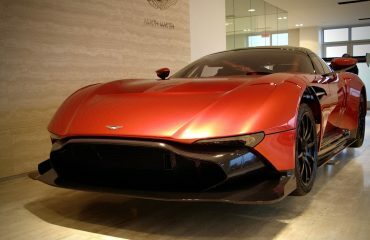 The 2012 Aston Martin Rapide will feature a 6.0-liter V12 engine that delivers 470 horsepower at 6000 rpm, and 443 lb-ft. This engine propels the car from 0 to 60 in 4.6 seconds. This power is connected to a 6-speed automatic transmission. The drivetrain is rear wheel. Being a four door high-perfromance luxury four door saloon, the Aston Martin Rapide features a very elegant interior, that gets, among others: automatic front and rear climate control, heated front and rear leather seats with memory, 1000W Bang & Olufsen BeoSound audio system with satellite radio and navigation and Bluetooth wireless connectivity. There is also a twin screen rear seat entertainment system with 6-disc DVD player. The exterior includes 20 inch alloy wheels, front and rear parking sensors, adaptive suspension system, bi-xenon headlamps and LED side-lights. There are four passenger seats, 3 in the back and one in the front. The new Rapide also features polished alloy wheels. The fuel consumption is is 13 mpg in the city and 19 on the highway. The Rapide will have a base price of $207,895, and will be released in the first half of 2012.